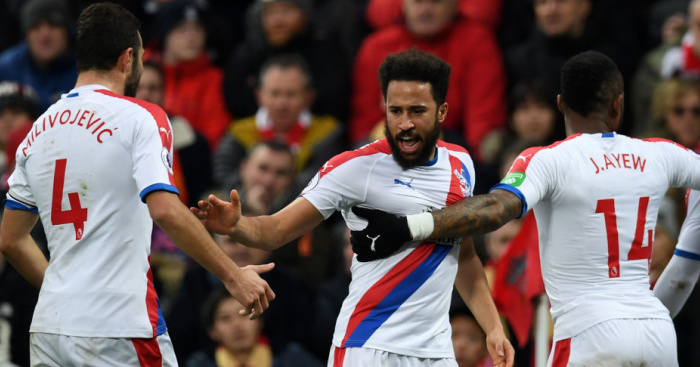 Julian Speroni’s error gifted Liverpool a major helping hand as Jurgen Klopp’s side dug deep to beat Crystal Palace 4-3 and open up a seven-point lead at the top of the Premier League. See how the match unfolded via our Live Centre and get all the big-name reaction from Anfield. The Argentinian keeper, who turns 40 in May, was making his first appearance since December 2017 because of injuries to Wayne Hennessey and Vicente Guaita. It was the Egypt international’s 50th Premier League strike in 72 matches – only Andrew Cole, Ruud Van Nistelrooy and Alan Shearer achieved the landmark in fewer appearances – having previously scored the goal to get Klopp’s side back on track at the start of the second half. However there was a manic finish with Sadio Mane and Eagles substitute Max Mayer both scoring in added time after James Milner had been sent off for a second bookable offence on Wilfried Zaha. It had all started so comfortably for Speroni, who easily passed his first test – although he could not have asked for a more gentle introduction than a shot from centre-back Joel Matip. 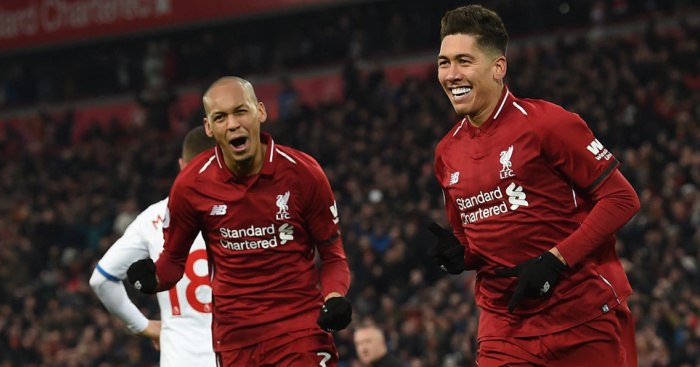 He claimed a couple of easy catches, plus there were a couple of off-target headers from Virgil Van Dijk and Joel Matip, but he was hardly troubled. 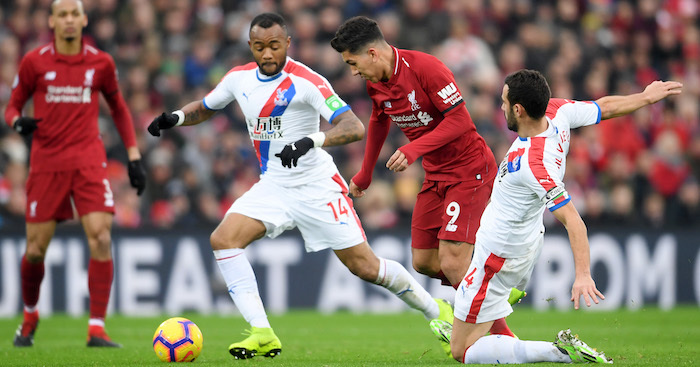 If Klopp was annoyed about their lack of penetration in the area, mainly due to Palace’s ultra-defensive set-up, he was furious about referee Jon Moss’ decision not to give his side a penalty in the 33rd minute. 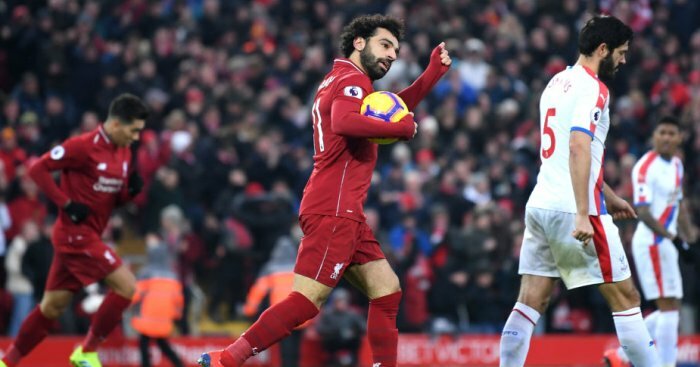 The post Keeper error and Salah double helps Liverpool go seven clear appeared first on teamtalk.com.